Get ready for a load of food posts. It's hard to make food posts when I'm at my parents' house because I just don't have the desire to cook. However, for the next week or so I'm dog sitting at my grandma's house, so I have a few recipes I'm going to whip up! I got the recipe Comfy in the Kitchen, but I'm going to adapt it the way I will next time I make it. 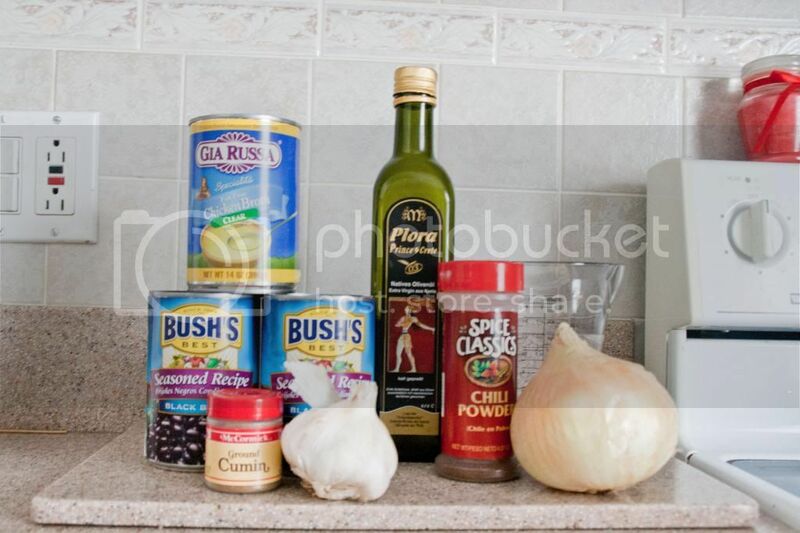 In a large pot that you will use for the soup saute onion and garlic in the olive oil until the onions are soft. Mix in the chili powder and cumin. Add the remaining ingredients (water, chicken broth, beans). Do not drain or rinse the beans. I am adding an additional can of drained beans because I really like beans and I want a more of a chunky consistency. If you don't I would suggest sticking with just the two cans. I drained the third can because there is already a lot of broth. As I waited for the soup to boil in order to let it simmer I started my 20 minute rice. Let soup simmer for 15 minutes. After 15 minutes add half the soup to a food processor or blender. Puree the soup and add it back into the pot. This is why I added the extra can of beans. I accidentally pureed too many beans and was disappointed. This step also helps thicken the soup. Don't be alarmed if you think it's too brothy. It's still delicious. 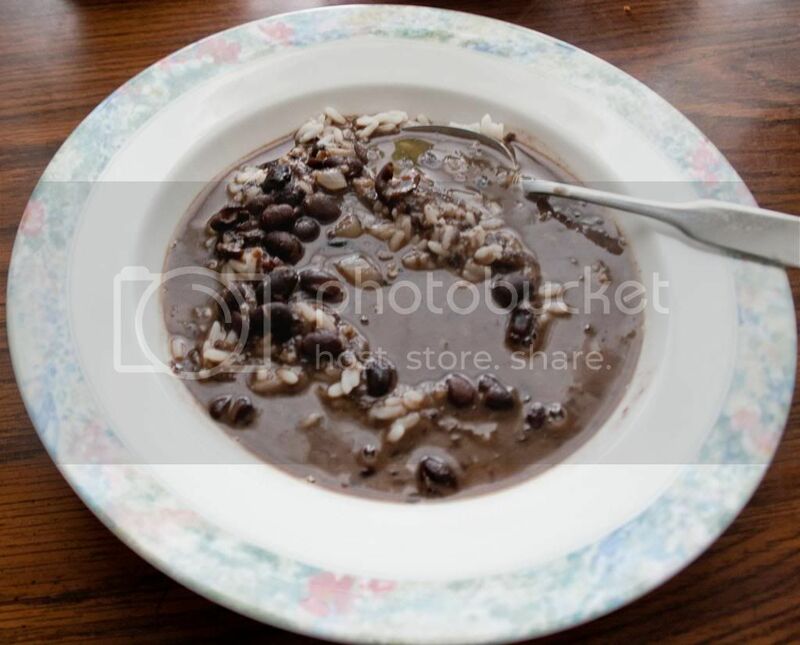 Oooh I love black bean soup. This looks amazing!